Do you still get amazed by modern technology? Despite living in an era where innovation has transformed how society lives life, certain products still leaves us in awe. That’s the case with Fluke’s range of infrared cameras. In some applications using a thermal camera is like being able to see through walls; And not because you’re cast in a sci-fi movie. We took the Fluke TiS75 for a test to see why the market is raving about this product. Did it perform as well as expected? It’s worth it to educate yourself about the Fluke company. When you understand the motivation behind products, you realize how many areas their products can be utilized in. Fluke has been around since the 1950s and started manufacturing industrial testing equipment. What sets Fluke apart is that it never stopped innovating and always kept up with the latest tech trends, needs in society & changes in the market. Based on this value it got involved in thermal imaging in recent years. The decades of work provided them with insight into the market and the needs of consumers & industries. With this technology the company designed a range of infrared cameras. With the help of thermal imaging users can detect heat spots in roofs, behind paneling and in many other areas as well as heat loss. 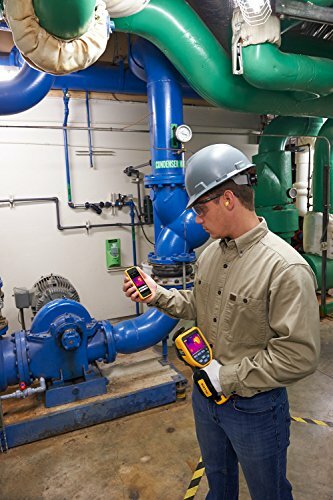 This has both domestic and professional relevancy to help find water leaks, power surges and other potential problems in homes and commercial buildings. The TiS75 is an excellent example of how Fluke used years of knowledge to design a practical tool that is very useful in commercial and residential applications..
Now, let’s get practical. Why should you add this to your maintenance gear? The FLK-TiS75 is first of all very versatile. Both home owners and professionals will be able to use the features & they’re mostly user friendly. We also appreciate that it supports 18 languages in its menu, which makes it relevant globally. The TiS75 simply needs to be pointed at a spot or a wall where you suspect problems. The laser pointer confirms the exact area you’re focusing the camera at. The quality 5MP visual camera and the infrared camera work together to provide you with a clear, realistic image of the area. This shows you visual camera footage overlaid with temperature ranges. 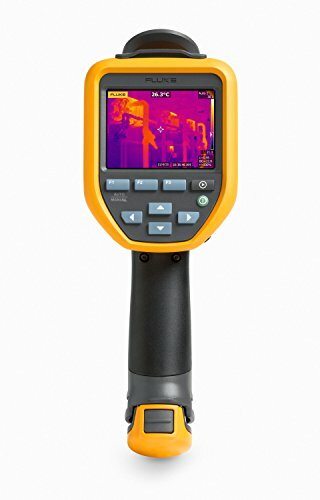 That’s Fluke’s unique IR-Fusion Autoblend technology; similar to FLIR's MSX technology. You’ll love how you can use the manual focus allows you to ensure clear images. What do you do once you’ve located the areas of higher temperature or heat loss? If you use this in a professional context you can simply create a report, straight from the device and email it to yourself or a client. This saves time as you don't have to download the images via USB cable to your computer and then create the report. There’s even a PhotoNotes option so you can add digital images to your thermal feedback. This helps you remember vital information and give insightful feedback to a superior or client. Alternatively you can store the images on the unit thanks to the 4GB memory and additional 4GB SD card features. When it’s time to download the information you simply use Wi-Fi and Fluke also developed a Fluke Connect server to help you store your data in the cloud. Of course you don’t want to run out of power in the middle of a project. The 4 hour battery life is pretty impressive. If you do have to wait for a recharge, you’ll be back at work within 2 ½ hours. The LED display will show charge level which helps you plan ahead and gauge how much power is left for your next task. This design is all about versatility as you can even pick the file format you want your images saved in. Options include BMP, GIF, JPG, TIFF and many more. 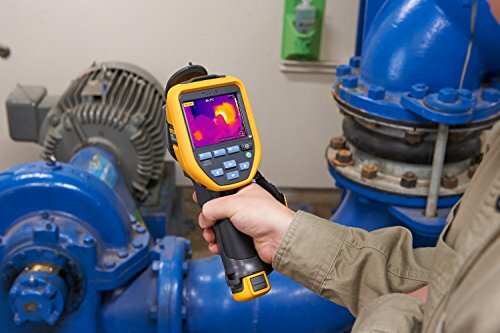 Fluke took thermal imaging one step further by also incorporating video recording features. This means you can provide a record of your investigation, or use the TiS75 to monitor a certain area remotely, thanks to live streaming. All of this is managed from a relatively user friendly interface with multiple buttons below the screen. This makes it easy to operate, even with one hand if necessary. The ergonomic handle makes long working hours possible without too much fatigue. But where will you use this? ​Some of the features, such as reporting, may be unnecessary for home owners. However, the device is easy enough to use that home owners should consider adding this to their maintenance equipment. It can help them discover leaks, electrical problems and more. Is it worth investing in? 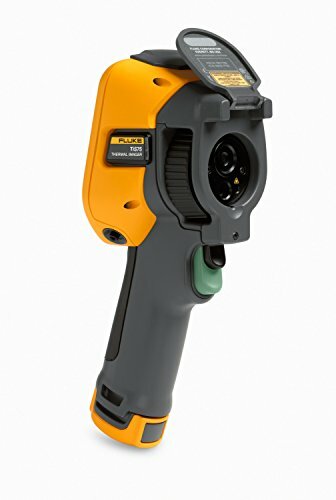 If you think of the money you save on maintenance when you can act pro-actively, you’ll wonder why you haven’t added this thermal camera to your tool box. This is truly on of Fluke’s winners, as its perfect for so many applications, allowing you to access exactly the features you need to get the job done. The only downside we can see is the price as this aimed more towards the commercial market and may be more than typical home owners need.